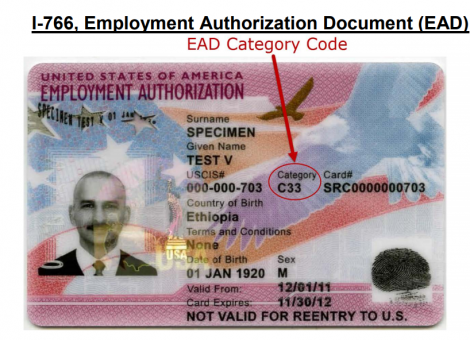 USCIS issues and EAD card for un-restricted employment in USA. The EAD card is also known as form I-766. The application form name EAD card is called form I-765. Form I765 requires an EAD category code to judge your eligibility. You should write the correct EAD category code to avoid any RFE (request for evidence). The same category code is printed on your EAD card i.e. form I-766. USCIS only allows some EAD categories to keep working even after EAD expiry if you have filed the extension before the current EAD approval expires. Automatic 180 EAD extension allowed for A03, A05, A07, A08, A10, C08, C09, C10, C16, C20, C22, C24, C31 and A12 or C19.